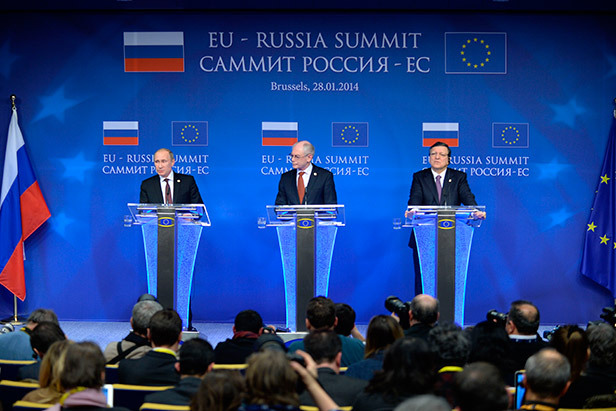 President Putin has met European Union leaders at a one-day summit, which underscore both bottlenecks and high potential of the relations between Moscow and Brussels. After two months of peaceful rallies in Kiev Ukrainian protests turned violent and moved to the most populous and trouble-free industrial regions. Mocked for having an affair and facing mounting public protests, French President Francois Hollande showed he can still make tough decisions both in his private life and in big politics.